There are many activities, like sports, that benefit both the body and the mind, and that includes chess. Anything that gets us to think can improve our brain’s cognitive abilities, but chess can also improve your physical well-being, even if you’re sitting in a chair. Who would have guessed that anything you can do sitting down could benefit your health, especially when we’re constantly told that sitting and watching TV is the worst thing we can do for our bodies? Well, studies show that playing chess actually changes the physical structure of our bodies, so let’s have a look at the exact benefits. Dendrites are one type of cell contained within your brain. They are what conducts signals from neuron to neuron, allowing you to send and receive signals from all over the body. When you play a game of chess, your brain is actually stimulated to grow more dendrites. A higher dendrite count means that your brain can increase the speed at which information is fired through your neurons. 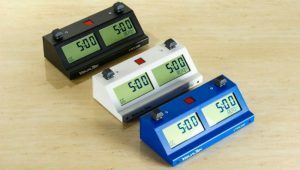 This increase in processing power will help to increase the performance of your brain over time. If you’re working out, both sides of your body need to be equally exercised so that both legs and arms possess similar strength. This is also important for the brain, yet many mental activities we do only work one side of the brain at a time. Chess actually gives both sides of your brain a good workout. If you continue playing chess over time, your brain will also perform better, which in turn gives you a better advantage on future chess matches. Playing chess involves using the left side of the brain for tasks such as object recognition. 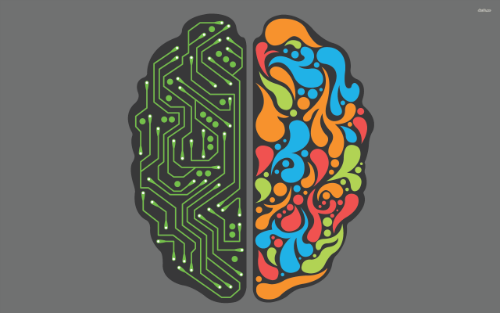 At the same time, the right side of the brain also gets involved to help you recognize patterns. Both of these skills are needed to play a game of chess. 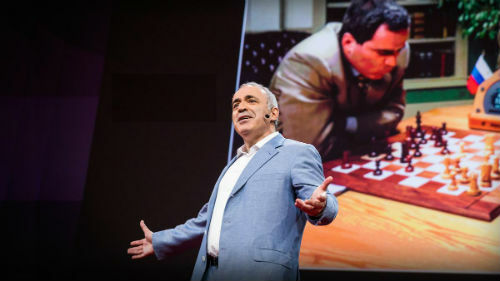 Since chess involves many rules, techniques, and visual recognition, over time the game will help to stimulate both sides of your brain. Chess actually gives both sides of your brain a good workout. It’s not surprising that if the elderly are stuck in a care home where all they do is sit and watch TV, that soon their minds turn to mush. Research has shown that when it comes to degenerative brain diseases, use it or lose it is a good motto. 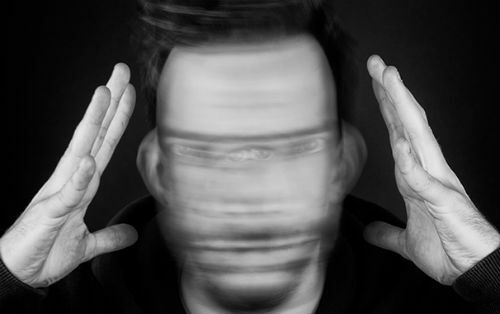 If you don’t continually stimulate and challenge your brain, you will be more prone to developing a degenerative brain disease like Alzheimer’s. In one medical study conducted by the Albert Einstein College of Medicine, 488 seniors were part of a study. One group of these seniors were allowed to play chess on a regular basis. Obviously, they’re the ones who had a decreased risk of dementia. 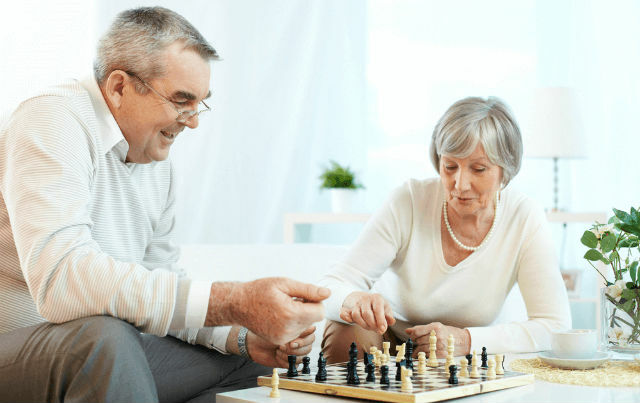 Since chess stimulates brain activity, it keeps the mind from deteriorating, and keeps it functioning at the normal rate even into the senior years. Starting your chess hobby in your earlier years will integrate it into your life more fully, making it something you’re more likely to continue doing as you advance in age. Trust us, your brain will thank you for forming this habit! Chess can even provide benefits to patients who suffer other mental health conditions. 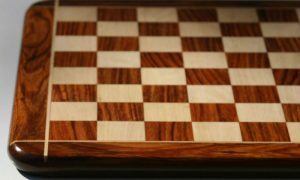 During one study at the Center for Cognitive Neuroscience in Bron, France, the doctors had schizophrenic patients play chess for a number of hours per week and compared them to the patients who didn’t play any chess at all. The patients who did play chess had a better attention span, better planning, and more advanced reasoning abilities than the ones who didn’t play chess. And interestingly, these patients decided to continue playing chess even after the study was done because they could feel the benefits. Patients with schizophrenia who did play chess had a better attention span, better planning, and reasoning abilities than the ones who didn’t play chess. When children play chess, it helps to improve their thinking and problem-solving skills at a faster rate than children who do not play chess. If they’re introduced to chess at a young age, they’ll likely do much better in school in the years ahead. Apparently, playing chess will help to improve the child’s cognitive abilities throughout life. They’ll naturally be better at reading and math. Many experts think that the second grade is the best time to teach children how to play chess, though some may be ready to learn the game at the tender age of four or five. You know your child best! While it’s possible that you’ll have some extremely smart people take an interest in and excel at chess, there are many more people who take up the hobby and get smarter the more they play the game. Playing chess can increase your IQ level over time. Your IQ will improve with regular chess instruction and by actively playing the game for as little as several weeks. There are many famous people who play chess, such as GM Magnus Carlsen and the hip-hop producer known as RZA. These influencers will help encourage people to play chess by showing just how fun and cool it can be. Playing chess can also help to build up your self-esteem. Since this is a game that is played by individuals, rather than people in teams, you’re on your own. You succeed or fail based on your own skill. If you lose, you can review your game to figure out where you went wrong. If you win, you know that it was your own hard work that got you to that point. Both playing and analyzing the game helps to builds up your mental strength and self-confidence, which can impact every part of your life, not just your chess game. Even patients who are suffering from brain injuries can benefit from chess. It can be a form of therapy for people who have been in bad accidents or who have suffered strokes. Playing chess is also a good therapy for children with autism or other developmental disabilities. And not only can chess benefit the brain, it’s good for motor skills too! The very act of picking up and lifting a chess piece across the board can gradually improve a patient’s fine motor skills. The mental effort required to play the game will help to build communication skills and cognitive abilities. Playing the game also teaches young kids to sit still, relax, and focus. This can help to calm and center patients who may be experiencing anxiety. Since chess is a game that is played one-on-one, it’s just you who is responsible for your success. You’ll need to outwit your opponent to secure a win, and you can’t do that by using the same old moves every time. You need to be able to think creatively. You’ll learn how to adapt to situations. 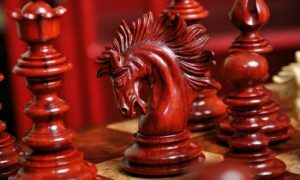 After you play chess on a regular basis you may discover that you experience a surge in creative thinking and originality, both on the chessboard and off. Chess is not only good for children’s mental development, it can also help adults with their problem-solving skills. In a game of chess, you must think quickly to solve your problem before the time limit elapses, and since the game is constantly changing and evolving as your opponent moves the pieces around the board, you must also think up new solutions to old problems constantly. When teens play the game of chess, they’ll better learn strategic and critical thinking skills. The prefrontal cortex part of the brain will develop faster in teenagers that play chess regularly. This will help teenagers in all aspects of their lives, including keeping them from making irresponsible and risky choices. 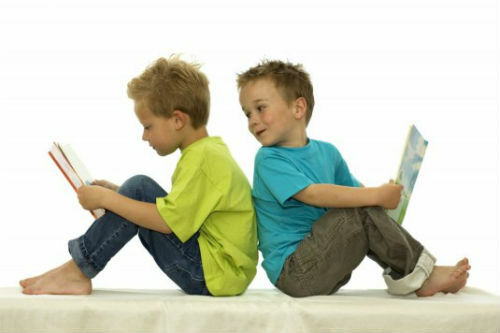 Even though you’re not actually reading anything in a game of chess, there will still be improvement in the reading skills of children who play the game. Playing chess improves the cognitive function of the brain overall, so that even skills you’re not actively using in the game become more finely honed. Think of it as getting a better tool- everything you do with that tool will come out better as a result. 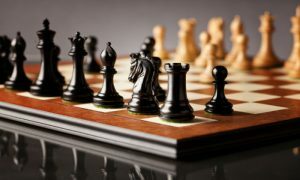 Chess definitely improves your memory because, during the game, you not only need to remember the complex rules of chess, but also the setups and moves that you’ve studied that could help you out of your current predicament. You’ll also need to remember your opponent’s playing style from the past so you can better improve your game. 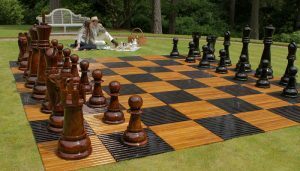 The best chess plays will develop excellent memory and recall performance that will come in handy in many other areas of their lives. Besides all the benefits to brain performance and the physical body, chess is also fun and entertaining to play. Many people may play chess for its therapeutic abilities, while some simply play it for fun. Chess allows you to spend time with family and friends, and is a much more stimulating activity than sitting in front of the TV and not communicating with each other. It’s not surprising that chess can be both fun and good for your physical and mental well-being. The very act of sitting down and thinking about your chess move is apparently good for your brain. Not only can chess help to prevent brain deterioration, but it can help it to heal faster too. If you haven’t sat down for a good game of chess recently, it may be time to do so now. 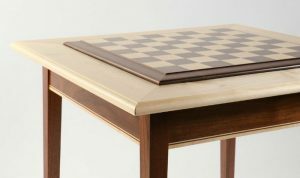 If you don’t have a chess board or pieces it’s time to put it onto your shopping list. 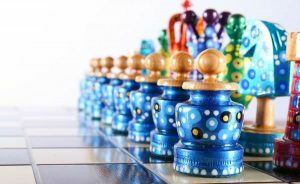 There are so many different types of chess pieces that you can buy and add to your collection. There are few games that provide so many cognitive benefits while still being fun to play. So, what are you waiting for? As a blind player, and a person with a disability, chess helps me understand spatial relationships and boosts self-confidence. Confidence can be very fragile when you have a disability. The ability to know that you are responsible for your own development as a player and that in the midst of a game, your skill and creativity is on an equal footing with your opponent even when they may not have a disability is a great confidence booster. The ability to remember spatial relationships on the chessboard translates directly into remembering where things are in the physical world and helps me remember more easily how to get to where I want to go.